Pregnancy Centers are local, nonprofit organizations that provide compassionate support to women and men faced with difficult pregnancy decisions. Care Net is dedicated to partnering with independent pregnancy centers and providing them with the resources they need to serve their local communities. Pregnancy isn't always expected and can often come at a difficult time; that's where Care Net pregnancy centers come in. With an affiliated center you can trust that you'll only receive accurate information and confidential services. Clients are able to obtain these services without charge at almost every center. Affiliated Care Net Pregnancy Centers may differ in what they can offer to their clients. It is best to research individual locations in advance to ensure that the services you need are covered in your area. Many independent pregnancy centers affiliate with a national organization, such as Care Net, to receive resources and benefits that help them better serve their local communities. Care Net's approach to equipping pregnancy centers to help women and men navigate the unique challenges surrounding unplanned pregnancies has helped countless individuals. Together, Care Net and your local pregnancy center operate according to the highest standards of care and integrity; subscribing to the standards of care outlined in Care Net's Commitment of Care and Competence, making them a safe, non-judgmental place to explore pregnancy options. At Care Net affiliated pregnancy centers, personal and health information is treated highly confidentially. Protecting client’s privacy is a very important value for Care Net pregnancy centers. Except in rare cases where information must be shared in compliance with state law for the protection of an endangered child, or to protect the client or others from physical harm, client information is held in the strictest confidence. Care Net also provides centers with detailed best practices for protecting client’s personal information. Care Net centers understand that pregnancy decisions are an emotional and private choice. Clients can feel confident in the information they receive because it's backed by research from caring professionals. 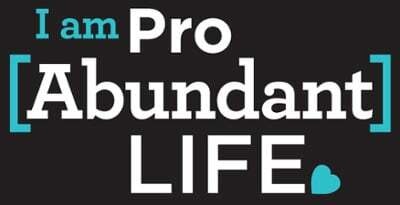 Affiliated pregnancy centers do not discriminate based on age, race, nationality, religious affiliation, disability or any arbitrary circumstances. Interested clients will always find support in exploring the spiritual dimension of their choices. Center personnel share the love of Jesus Christ in ways that are both practical and personal, and, while caring prayer support is always available to clients, it is never imposed. Additionally, Care Net affiliated centers are uniquely positioned to operate according to the highest standards of care and integrity. As part of our network of North American centers, Care Net affiliates receive expert best practice advice on operations, client care, medical services, marketing, board leadership and more. Together, Care Net and your local pregnancy center form a powerful team. By offering practical, compassionate support, we remove the barriers that cause people to choose abortion and empower them to make positive choices for themselves and their families. Care Net centers provide information about all pregnancy options to clients, as well as ongoing practical support for those choosing non-violent options. For those who experience grief or regret related to a past abortion, abortion recovery programs are available at most centers. The decisions made during times of unplanned pregnancies can be life changing, making it more important than ever that you consider all your choices carefully. Please Note: Care Net affiliated pregnancy centers do not perform or refer for abortion and do not profit from any client's decision.